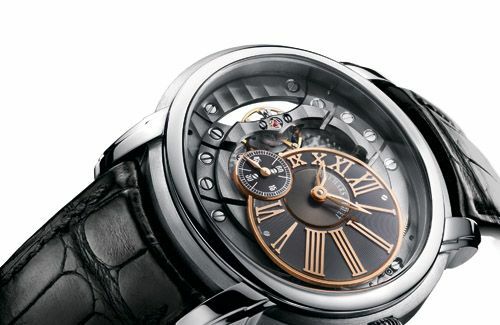 As the title of this post already says, the AP Millenary 4101 was one of the nicest horological surprises in 2011. Some of you probably know that I have a weak spot for the Royal Oak, but this Millenary suddenly appeared on my list of favorite watches as well. The oval watch case is definitely something different and the fact that the oval shaped in-house movement caliber 4101 is specially built for this watch makes it even more desirable for me. The dial with the decentralized small sub dial with the center pinion (to which the hour and minute hands are attached) create the optical illusion that the dial is also oval. The small seconds sub dial blocks the 7 and 8 o’clock Roman numerals, but it is very playful and still looks elegant. AP probably realized that their clientele is not only Offshore minded, but there is still a large fan base that likes them for their ‘haute horlogerie’ craftsmanship when it comes down to movements. 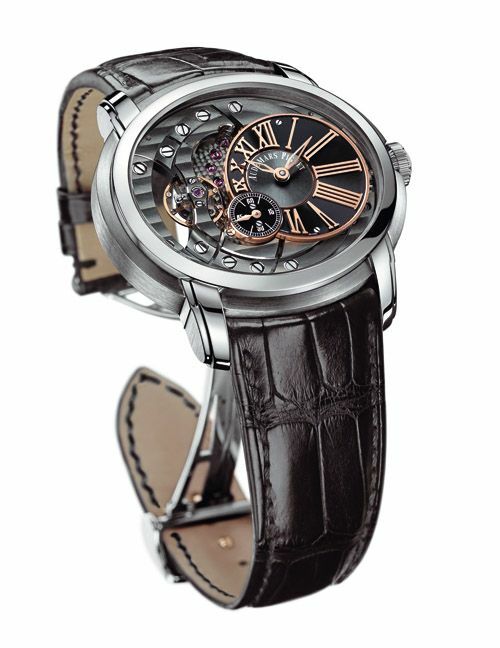 The wearer of this Millenary ref.4101 is able to see one of the most important parts of it, the escape-wheel. Also, a lot of Côtes de Genève finished bridges have been put to the surface so they can be admired in full. 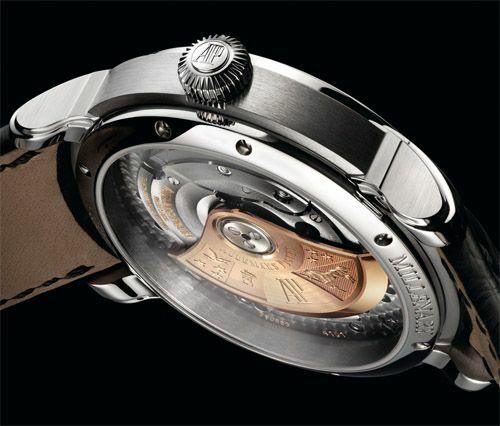 If you look more closely, you will also see the superb finish of the movement’s main plate. More on high-end movement finishing can be found here, something I wrote a while ago. The rotor of the caliber 4101 movement should look familiar to you, it appears to be the signature rotor of AP’s in-house movements. I personally love the heavy looking 22 carat gold rotor with family weapons engraved in it. As you can also see on the pictures, the case has a the finish you’d expect from a watch manufacturer considered to be amongst the finest in Switzerland. The satin brushed side of the case and the high polished upper and lower part looks amazing. It is like a polished band that captures the satin brushed case. The crown has been signed AP and although I haven’t tried it yet, it appears to be easy to grasp. Audemars Piguet also uses the Millenary to show what they are capable of in terms of watch making, take the Seconde Morte (dead beat) complication for example in their Millenary Tradition d’Excellence N°5. This caliber 4101 Millenary is not your typical dress watch, but certainly worth considering if you are able to move approx. $22.000 USD for a timepiece. This Millenary 4101 is also available in 18 carat pink gold. The former generation of Millenary watches are quite small for modern taste, but this 4101 has a wearable dimension of 47mm (w) x 42mm (l) and only 13mm in height. The watch comes with a hand-sewn alligator strap and a AP folding clasp in stainless steel or 18 carat pink gold. The clasp has the AP initials like we’ve seen on the Royal Oak models with stainless steel bracelets. I guess I am not the only one who has been a fan of this watch as soon as it was introduced during the SIHH last January, this particular watch has received the Prix du Public during the Grand Prix d’Horlogerie which was recently held in Geneva. More information can be found on the official website (www.audemarspiguet.com) and their Facebook page. Check out Ariel’s aBlogToRead for another great review with loads of pictures. Larger / high-res images can be found at the Fratellowatches Facebook page.